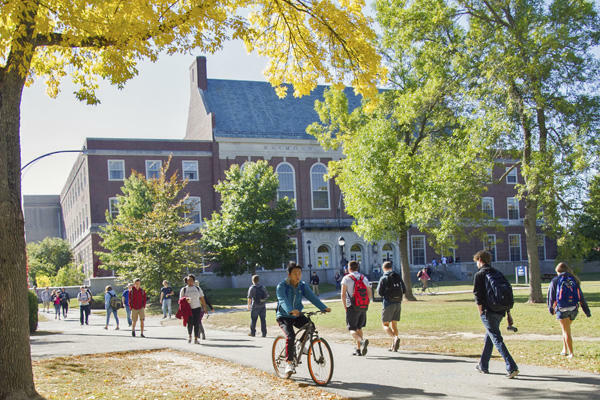 Students enrolled in programs at the University of Maine System’s seven campuses will face an average financial increase of 2.3 percent next fall to cover the costs of tuition, fees and room and board. The increases are tied to the annual rate of inflation, and nearly half of the fees will fund a 9.5 percent increase in student aid during the 2018-2019 academic year. UMS board member and Republican gubernatorial candidate Shawn Moody voted against the increase, saying it was overly burdensome on students and their families. Others, such as Norman Fournier, said the increases have to be part of an overall budget package that addresses infrastructure upgrades and other needs. It is the second tuition increase approved by the board in as many years following a six-year freeze on those costs.